In the middle of the 19th century, Japan abandoned its policy of official seclusion and joined “the Community of Civilized Nations”. 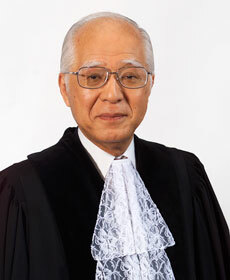 The history of how this concept of the Community of Civilized Nations came about and what intellectual challenges Japan had to overcome in the process sheds an interesting light on the nature of international law as the “law of civilized nations”. Treaty of Nerchinsk between Russia and China, Nerchinsk, 27 August 1689. Code Civil des Français (The Napoleonic Code), 1804. Burgerlijk Wetboek (Dutch Civil Code), 1838. Treaty of Peace and Amity between the United States and Japan (Treaty of Kanagawa), Yokohama, 31 March 1854. Treaty of Amity and Commerce between the United States and Japan (Harris Treaty), Edo, 29 July 1858, Consolidated Treaty Series, vol.119, p. 253. Treaty of Friendship and Commerce between the Netherlands and Japan, Edo, 18 August 1858, Consolidated Treaty Series, vol. 119, p. 313. Treaty of Friendship and Commerce between Russia and Japan, Edo, 19 August 1858, Consolidated Treaty Series, vol. 119, p.337. Treaty of Peace, Friendship and Commerce between Great Britain and Japan, Edo, 26 August 1858, Consolidated Treaty Series, vol. 119, p. 401. Treaty of Peace, Amity and Commerce between France and Japan, Edo, 9 October 1858, Consolidated Treaty Series, vol. 119, p. 7. Treaty of Commerce and Navigation between Germany and Japan, Berlin, 4 April 1896. Treaty of Peace, Amity and Commerce between France and Japan, Paris, 4 August 1896. Convention for the Pacific Settlement of Disputes, The Hague, 29 July 1899. Maria Luz Arbitration (Japan v. Cuba), Award rendered by the Czar of Russia, 17-19 May 1875, Consolidated Treaty Series, vol. 139, p. 267. Permanent Court of Arbitration, Japanese House Tax (Germany and ors v Japan), Award of 22 May 1905. Pope Innocent IV, Commentaria Doctissima in Quinque Libros Decretalium, 1245. President Millard Fillmore, Letter to the Emperor of Japan, presented by Commodore Matthew C. Perry, Uraga Harbor, 14 July 1853. Tokugawa Nariaki, Letter to Bakufu, 14 August 1853. Ii Naosuke, Letter to Bakufu, 1 October 1853. Imperial Proclamation of Foreign Policy, 8 February 1868. Emperor Meiji, Five Articles of Oath (Charter Oath), 7 April 1868. Otto von Bismarck, Address to the Iwakura Mission, Berlin, 15 March 1872. M.E. Cosenza (ed. ), The Complete Journal of Townsend Harris: First American Consul General and Minister to Japan, Japan Society, New York, 1930. C. Lévi-Strauss, Myth and Meaning: Cracking the Code of Culture, University of Toronto Press, Toronto, 1975. J. Lorimer, The Institutes of the Law of Nations, vol. 1, William Blackwood and Sons, Edinburgh/London, 1883. B. de Montesquieu, De l’esprit des lois (The Spirit of the Laws), A.M. Cohler/ H.S. Stone, (trans. and eds. ), Cambridge University Press, Cambridge/New York, 1989). L. Oppenheim (ed. ), The Collected Papers of John Westlake on Public International Law, Cambridge University Press, Cambridge, 1914. H. Wheaton, Elements of International Law, 3rd edition, Sampson Low, Son and Company, London, 1863.